When the battle for time, attention and income among consumers is at an all-time high, what do private enterprise competitors stand to gain by working together? Just about everything, despite natural “fight or flight” tendencies. Further, when public sector attention and funding for adventure also are on the rise, so to is – or should be – the openness for partnerships among competitors. According to the Adventure Travel Trade Association’s first half 2011 Tourism Board Survey, 89 percent of the tourism board respondents indicated that the Adventure Tourism sector is increasing in importance within their organizations over prior years. And, within these same tourism boards – representing national, regional and local destinations – 79 percent reported that the private sector (e.g., tour operators, ground suppliers, adventure lodges) for Adventure Tourism also has begun to emerge and/or grow. Survey, empirical and anecdotal evidence is amassing that tourism boards worldwide are shifting interest, attention and resources more toward Adventure Tourism. And, with the private sector also reflects these same positive signals of growth, there’s a surge in efforts to attract public sector interest and investment. In fact, two recent cases from Europe point to such change and are reflective of the way competitors are finding ways to work together to: gain public sector support and funding; increase quality standards; bolster visibility for specific destinations; and to initiate joint marketing initiatives to attract travelers. 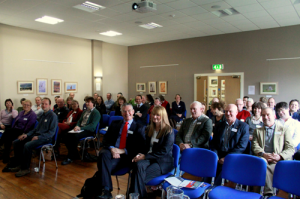 In Scotland, Wild Scotland and Activity Scotland, two previously-independent trade associations serving similar niche sectors, took the bold step to merge after participating in the October 2010 Adventure Travel World Summit. Their story is told in ATN Assistant Editor Nicole Petrak’s latest installment for Lessons & Insights that features a Questions & Answers session with Caroline Warburton, Manager, Wild Scotland. Warburton credits, in part, the ATTA and its World Summit emphasis on “co-opetition” – a term which effectively brings together competitors in cooperative efforts that result in mutual gain – for encouraging the merger. Meanwhile, also inspired by her participation in the 2010 Adventure Travel World Summit held in Aviemore, Scotland, an intrepid tour operator executive, Tullia Caballero of S-Cape Travel, contacted the ATTA seeking insights and perspective as to whether a group of business leaders in Italy might also secure the ATTA’s involvement to help start an association for adventure tour operators. Caballero candidly and respectfully shared that the Italian adventure tour operator environment struggles from overtly competitive mindsets, concern over taxation issues, guide issues, and until now, sheer apathy from destination tourism boards toward the nature/Adventure Tourism sector. Caballero indicated that these challenges had to this point stalled the formation of any semblance of collaboration in the form of an “association”, whether public or private. Turns out, the ATTA backed Caballero and her budding group of adventure tour operators interested in formalizing the adventure sector and helped to facilitate a meeting in Florence in December 2010 to get the proverbial ball rolling. At the outset, Caballero expressed interest in emulating the ATTA model, which is inclusive of the entire supply chain. At the roundtable discussion in Florence were more than 20 Italian tour operators, and service providers representing incoming and outgoing active travel companies, including biking, hiking, kayaking, trekking, guiding and other disciplines, and they met in Italy three times between December 2010 and February 2011. Also in attendance was ATTA Vice President Chris Doyle, who moderated the meeting and provided a boost to what has been taking root in Caballero’s mind for some time. Charter participants — all tour operators —gathered to discuss the formation of an association and its goals, which is leaning towards more effective promotion of their individual businesses through collective exclusivity for adventure tour operators. 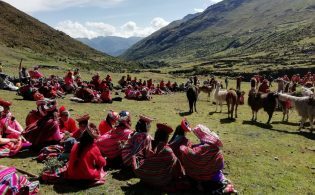 (This was overriding Caballero’s initial suggestion that the “association” represent all vested businesses in Adventure Tourism, a view she is willing to relinquish to ensure progress within the initial group.) The association would be tasked to speak directly to consumers and the travel industry, both nationally and internationally. Consensus and purpose drove Active Italy’s early discussions. A few important decisions were reached immediately including: certification of anti-mafia status; the adherence to standards and guidelines of active, responsible travel; and ethics of competitors cooperating and sharing sensitive information. Participants agreed that the ultimate beneficiary of this association would be the buying public. More specifically, attendees sought to improve the perception of active travel, along with the desire to adhere to the disciplined practices of responsible tourism. Faced with competition from businesses, large and small, domestic and international, the charter group, some with roots in both Italy and North America, agreed to increase collaboration, monitor standards and achieve recognition for Italian outfitters who provide high quality active travel vacations. 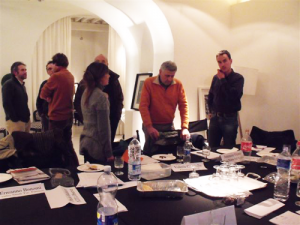 Active Italy finishes their meeting with board of directors, statutes of organization and prioritized next steps. By the time the first meeting was concluded, the group agreed to form a non-profit association. 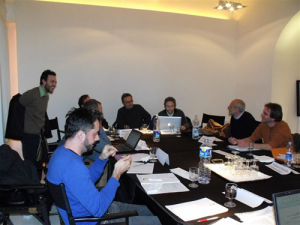 At its second meeting, the association, now officially named “Active Italy”, was able to select a board of directors, statutes of organization and prioritized next steps. Among its priorities are choosing identity name and logo, building a website, establishing membership criteria, budgets and a host of other administrative tasks. And, while underway with these more mundane efforts, Active Italy would initiate efforts to attract the attention of tourism board officials, attend some of the most important national trade shows and create a brochure – efforts that have begun, but have not yet resulted in reportable progress. According to Active Italy charter organizers, the challenge to this initiative lies in the need for regular monitoring and to keep stoking the fire, as concerns were expressed along the way that such energy all too often breaks down after ambitious beginnings. Beyond what this association accomplishes now and in the near-term future, participants agreed that sticking to its mission and values over the longer-term would ensure its resonance with consumers. And, instead of trying to tackle everything at once, charter members would be satisfied with small gains in the early days toward Active Italy’s broader mission. 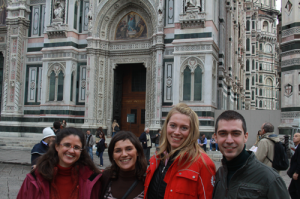 To ensure this process doesn’t stop at “just being a good idea”, like-minded associations, such as the ATTA are preparing to offer its experience in the active travel global market by adding purpose to the initial steps taken in Florence and keep the Italian association motivated and enduring. It’s these first and bold steps by organizations like those of the Scottish Wildlife & Adventure Tourism Operators Association and Actively Italy, as well as those of such organizations as ABETA (Brazil’s adventure and ecotourism trade association), which now represents the voices of hundreds of Brazilian adventure tour operators committed to establishing ISO Standards, which are sowing seeds of collaboration. 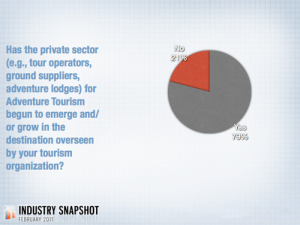 These associations are affecting the future development of the global Adventure Tourism industry. They’re pursuing their respective missions despite their day-to-day competitive nature. And, it is precisely this — cooperation in the face of competition — that, ironically, contributes to the long-term viability of the industry and to the short-term gains the day-to-day gains operators require. When the operators win when working together, inevitably, they tend to gain the respect and attention of the public sector. And, that’s when they’re able to begin positively affecting where the marketing budgets of their respective tourism boards are directed. Among many destinations, the ATTA has seen the process described for Scotland and Italy already taking hold in Norway, Mexico, Brazil and Quebec, with others soon to follow. For guidance on how to fuel cooperation among competitors in your destination, contact [email protected] with the subject header, “Co-opetition” with the geographic destination you and/or your new partners represent.